Log cabins are the best way to get away from the city. They offer a slower, simpler pace to life, whilst the surrounding nature carries its own rejuvenating effects. 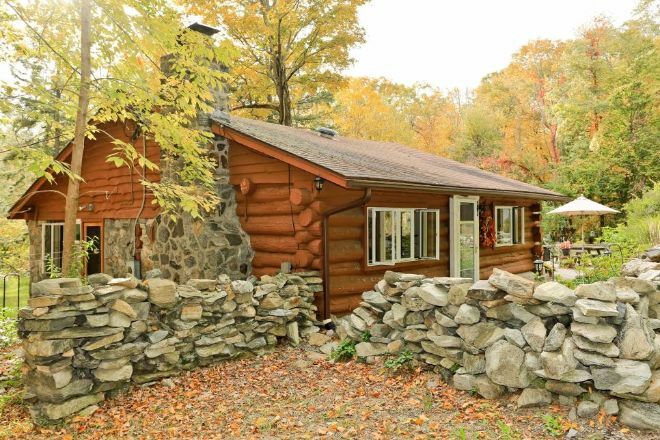 Today we will explore a gorgeous log cabin which is effortlessly close to New York City. Situated just outside of Carmel, New York, this quaint log cabin sits on six private acres of gorgeous upstate woodlands. It can easily be accessed from New York City in around an hour-and-a-half drive, making it the perfect retreat from the high tempo of the big city. 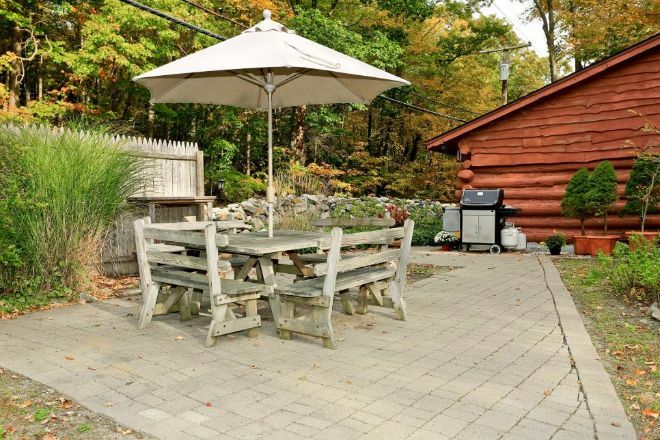 This charming log cabin featured on Houlihan Lawrence Real Estate is the perfect getaway from the city. The floor plan has one bedroom and one bathroom, with a cozy-yet-spacious 899 square feet of internal living space (83.5 square meters). This wood-and-stone cottage features a solid log construction which has blended into the natural environment nicely. The house features a gorgeous wide-plank hardwood floor which runs through the majority of the cabin. 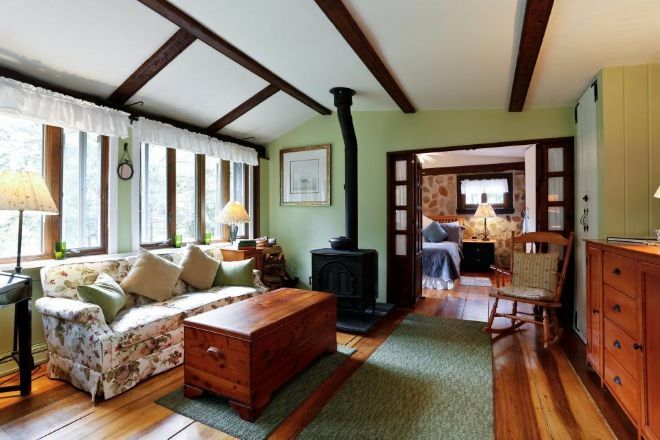 The quality of finishes are evident, including an antique wood-burning stove which is an attractive feature - perfect for heating this cozy cabin. 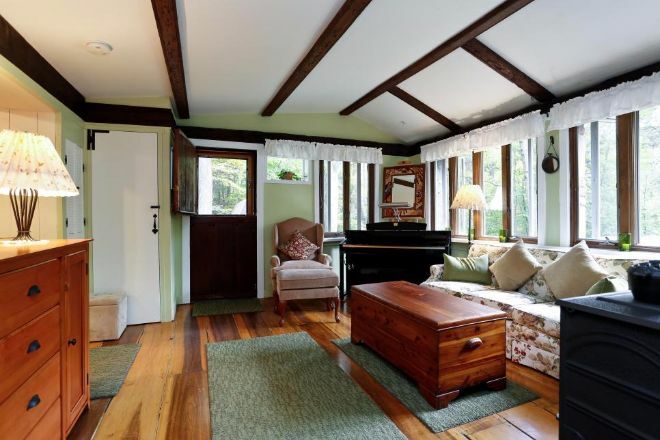 The bright and air-filled living room has an exposed-beam ceiling which adds a sense of charm and character to this space. A row of large windows invites an abundance of natural light into the room, which is highlighted by the whitewashed, slightly raised ceiling. The open kitchen and dining room offers plenty of space for entertaining. This generous room could easily house a large table fit for a dinner party. 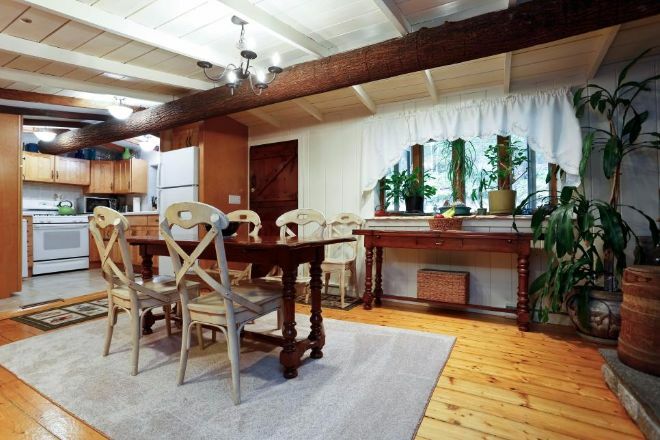 Despite the open plan, the room remains cozy, like a log cabin should be. 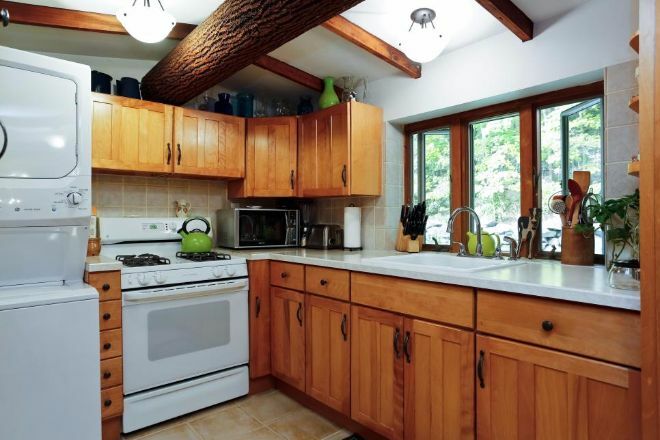 The quaint, country-style kitchen is a light and bright space to prepare a meal. It is a social space to cook, given the open space to the dining area. The sparkling white countertops accent the room very well, whilst the washer/dryer unit is a welcomed addition. 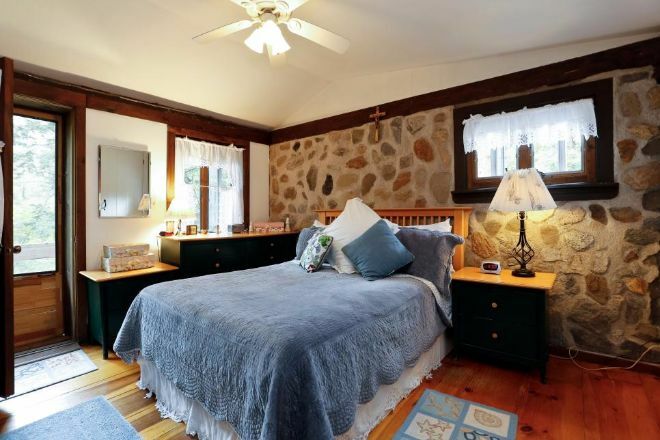 The bedroom in this charming cabin features a solid stone wall, which serves to decorate this inviting chamber in a very natural way. The continuation of the gorgeous hardwood flooring leads all the way through to the peaceful porch. 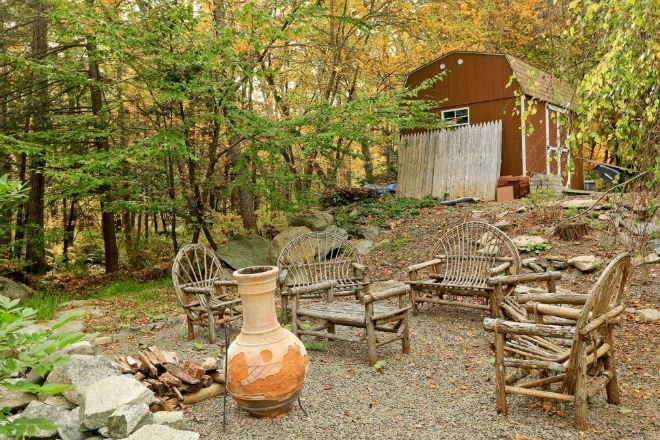 Entertaining in this woodland cabin would not be complete without an area to sit and enjoy the great outdoors. It would be easy to spend relaxing afternoons on this simple patio and decorative garden. Since colonial times, the fire has always been at the heart of a rustic log cabin in the woods. This inviting woodland glade is perfect for transitioning from day to night, with conversation and music around an open fire. This cabin has everything. Do you agree? LIKE and SHARE on Facebook.